Nothing quite compares to the wonderful experience of a bareboat charter. Bareboating provides the utmost in freedom and privacy …you can do whatever you want, whenever you want to! Despite its name a bareboat yacht charter does not come bare! In fact your vessel will be fully-stocked with all the tools and equipment necessary for a successful holiday exploring the Whitsundays. The term bareboat refers to a yacht that does not come with a crew. 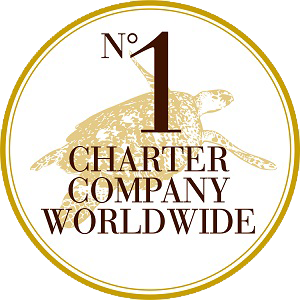 When you choose a bareboat charter, you will be the skipper in charge, and your family or friends the crew. If you have an adventurous spirit, some boating experience and yearn for that live-aboard lifestyle, then a bareboat charter is definitely for you. Unlike in other areas of the world, chartering a yacht in the Whitsundays does not require a boating licence. However if you are unsure of your sailing abilities, or simply want the knowledge of a local skipper, you can hire a professional captain at a daily rate. If you’d rather not cook, you can hire a hostess and have all of your meals prepared for you. A bareboat charter allows you to truly get away from it all. Even the most intimate hotel doesn’t allow the incredible privacy that you can achieve with a bareboat vessel. You’ll feel like you’re in your own little world on your yacht, cruising in your own special piece of paradise … this is the perfect recipe for relaxation, peace, and perhaps even a bit of romance.